I had wanted to visit Greenland for some time and in June 2016 I was finally able to join a friend on a cruise aboard the ‘Seas Spirit’, a Russian Ship that was travelling to Disko Bay and Western Greenland. The journey started at Kangerlussuaq, having flown in via Copenhagen. The weather was amazing, with plenty of sunshine and, thankfully, it was nowhere near as cold as I had expected. There were, however, a lot of icebergs as it was still quite early in the season. This image was taken in Uummannaq, the most northerly place we visited. 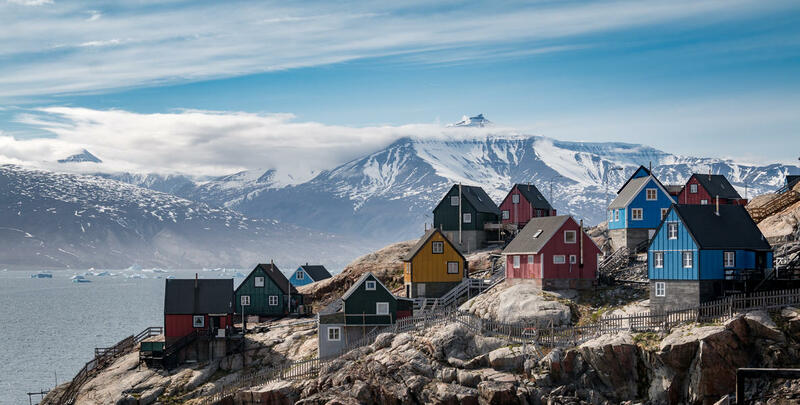 Uummannaq was an amazing place, as is the case with much of Greenland, with the brightly coloured houses perched on top of rocks with lots of wooden steps to approach them. The reason for this is, apparently, the permafrost, which makes it much better to build structures on rock. Also, the wood has to be imported so is used carefully. It was during the afternoon of our day there (2nd June 2016) that we had some free time where we were able to walk through the village at our own pace. Everything was in our favour, including the light which was just perfect. I took several photographs of this view at different focal lengths and from different angles, but I particularly liked this one, showing, as it does, the houses with the sea and the mountains in the background. I feel it epitomises the landscape of Greenland and how beautiful and different it is. It will, I hope, encourage more people to visit this beautiful country. 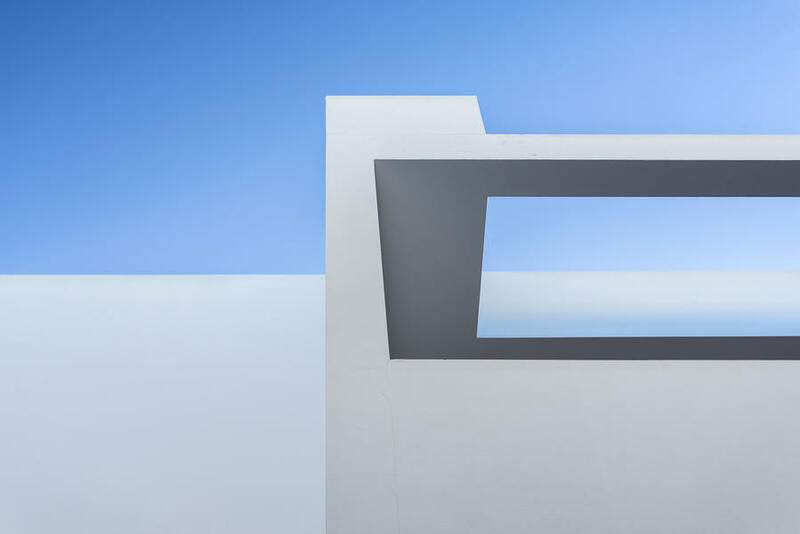 About a year ago, I decided to create a photographic project about the relationship between nature and architecture in Lanzarote. Once I got there, I felt very inspired by the white exterior and distinctive shapes of many of the buildings. This particular image was the first one I shot while there. It was just outside the flat I was renting and served as a great test subject. I took multiple images of the surrounding buildings to get a sense of the atmosphere I would later use to structure my project. Once I had a clear vision in my mind I knew I wanted to start with this particular piece of the exterior. It took some time to achieve the desired result as the soft shadows and naturally formed gradients only appeared once a day and that was when the sun was at a particular angle and only if the sky was clear. Once I had shot it, it reminded me of a particular painting. Even some people I have shown it to said the same. However, to this day, I still can’t remember the name of the painting or the name of the artist! I believe the simplicity and softness of the image make it very pleasing to look at. For me, it strikes a great balance between architecture and the beauty of natural sunlight. Although I live in Australia, I often travel to Europe. My passion is photographing the urban environment focusing on its architecture, buildings exteriors and architectural details. One thing I’m always especially keen to spot is architectural abstracts. I shot this image on my last year trip to Paris and it captures the detail of the Rainbow Tower by Raymond Moretti, located in the Paris district of La Defense. While visiting La Defense, we noticed this colourfully striped sculpture standing there among other remarkable modern architecture buildings. I took several shots of the Rainbow Tower including close-ups intending to capture some architectural abstract images. 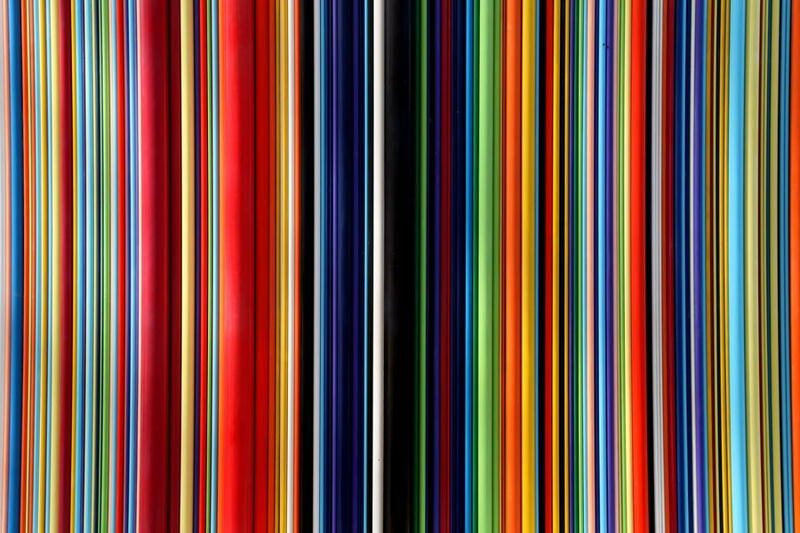 The 32-meter-high Le Moretti Tower is covered by fibreglass tubes painted in 19 vibrant colours which makes it a great subject for producing abstract images. After I framed my shot, I focused on the details of the lines and their colours in order to get the composition I wanted. The result was a geometrical abstract image composed of the lines and brilliant colours which I have titled ‘Rainbow Colours’. This image was taken during a trip following the completion of my exams which found me travelling all the way south, from Sheffield to Swansea. One of my stops was Cardiff and that meant a visit to Cardiff castle. The fame of this impressive structure was something I was very aware of so I deliberately chose a hotel close to the castle when I arrived in Cardiff on a rainy Saturday. Once I saw stepped into the castle, I knew I had to take a picture of it. Compared to other parts of the castle, which are a little rougher in design, this section really stands out. I was amazed by the engraving and decorative stripes. 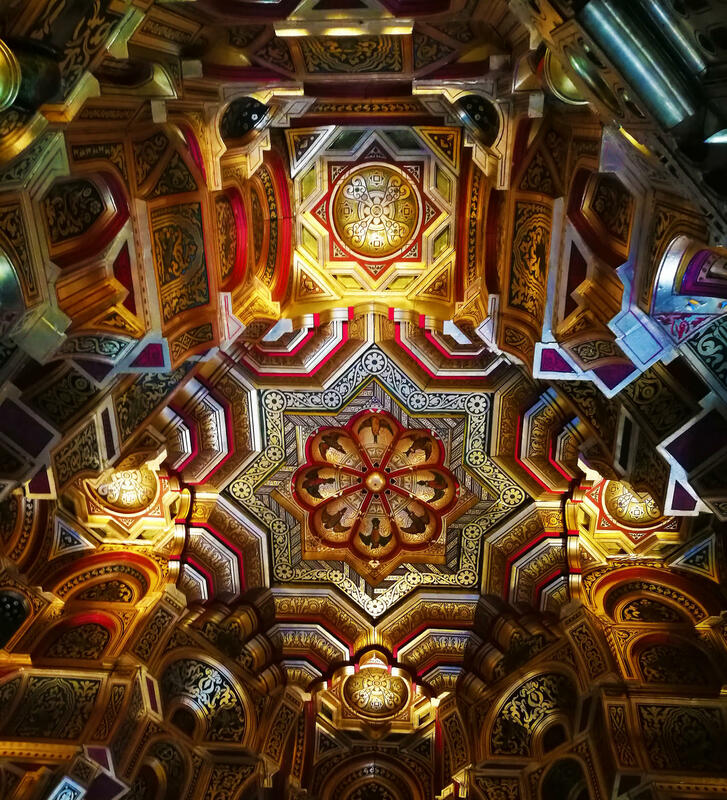 The ceiling is so colourful and rich in saturation but is also notable for its strong symmetry, a theme that runs throughout the entire space. With that in mind, I realised that rather than overthink it, I would simply take the image as it is. The beauty of the space would speak for itself. While the room is small and has multiple windows, the light was still dim so I had to adjust my exposure accordingly. Other than that, I really didn’t have to think too hard about it. If you have any thoughts or advice about shooting architecture in colour, let us know in the comments below.